Are you in need of the fastest and most efficient service for towbar fitting Trowbridge has ever had available? If that accurately describes your current situation, then you have definitely come to the right place. The Towbar Company is here to assist you, whatever the weather. Call us today on 07778 343 464 for a free quote. Here at The Towbar Company, we specialise in a wide variety of different towbars. Our mobile service is available for fixed towbars as well as detachable ones. We are also able to provide various accessories associated with the service. Whatever it is that you intend to tow, The Towbar Company will be able to fit your towbar quickly and efficiently. You will benefit from our highly competitive prices and speedy service. 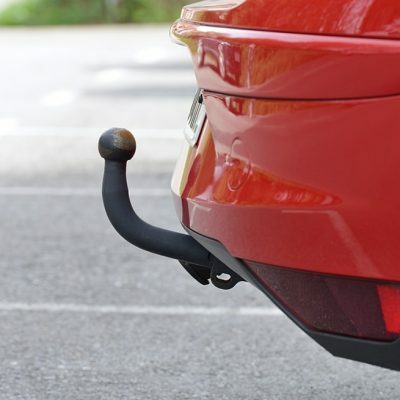 Whether you are looking for towbar fitting in Trowbridge or one of the surrounding areas, get in touch with our friendly team of professionals. Our towbar fitters in Trowbridge possess more than 25 years of experience in the industry. You can have peace of mind when you enlist our services as there is no request that is too complicated for our team to handle. The towbar fitting Trowbridge service that we offer is fully mobile, which means that we can be by your side in no time at all. We aim to keep downtime to an absolute minimum. Our fitters will work quickly and efficiently to make sure that you can go on with your day as normal. Why Choose the Towbar Company for Towbar Fitting in Trowbridge? The Towbar Company is a towbar fitting Trowbridge company that offers unbeatable prices and excellent service. Even if you are based further away, get in touch with us. We will always go the extra mile for our customers and will be able to travel in order to facilitate your request. All of our towbar fitters in Trowbridge have been fully trained and accredited to offer a comprehensive service. Whether you need us to work on your private car or a commercial vehicle, we will have you covered. Our work is completely insured and always compliant with pre-set manufacturer specifications. You will therefore not have to worry about our towbar service affecting your vehicle’s warranty. As a company, it makes us very proud that we now get a lot of new business through referrals and recommendations. This means that our past customers have benefited from our towbar fitting in Trowbridge so much that they regularly point their acquaintances our way for an efficient service. With nearly three decades in the business, you are picking a towbar fitting Trowbridge team like no other when you choose The Towbar Company. Our service is transparent and our fitters will always be courteous when working on your vehicle. From the moment you place your phone call to our customer care team until our fitters complete the job, you will receive an absolutely stellar service. If you are convinced beyond a shadow of a doubt that we are the number one towbar fitting Trowbridge specialist, then contact us now! Either give us a call on 07778 343 464 or fill out our enquiry form to discuss your requirements!